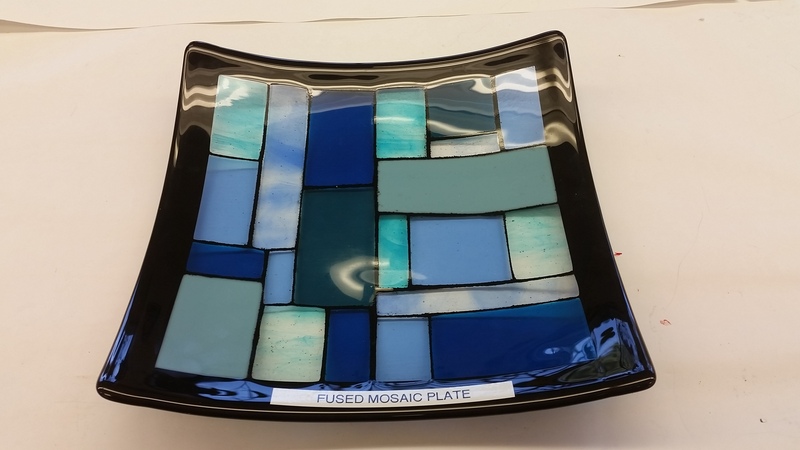 Come create a beautiful mosaic bowl. Colors can be random or you can choose a complimentary color palate. We can help you with this and show you palate choices. No previous cutting skills- not a problem. In 10 minutes or less we will have you cutting straight lines like a pro. 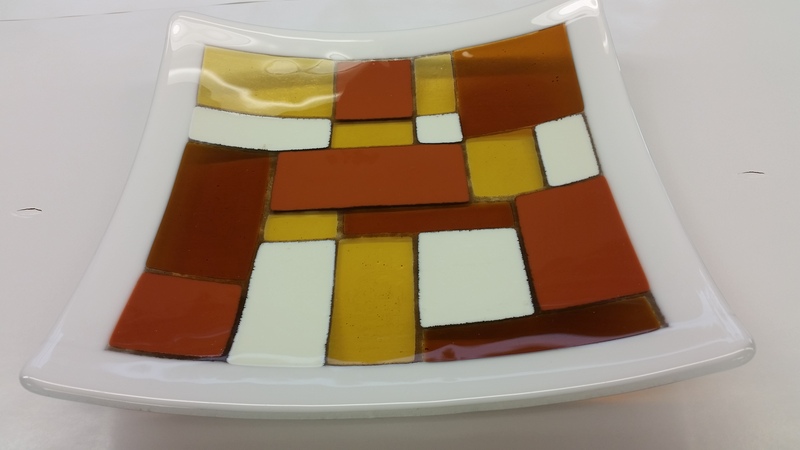 The spaces in-between the squares and rectangles are filled with glass powder frit. I has a resemblance to grout. After your piece is fused we slump it into a soft bowl shape. The size will be 12" square.